To learn more about conservatorships, watch With Heart: Understanding Conservatorship. Some of the court forms shown on the video are outdated, but the information the video provides is current and relevant and may help you understand the process better. If you want to understand what a conservator's duties and responsibilities will be, read the Judicial Council's Handbook for Conservators. The law says all conservators must have a copy of this handbook. If you know someone who needs help and probably needs a conservator, but there is no suitable family friend or relative that can be the conservator, do some research to find a private professional fiduciary to act as conservator. Professional fiduciaries charge fees, but the court must approve in advance all fees paid by the person to be helped. If the person who needs help cannot pay these fees, contact your county’s Public Guardian or Public Conservator by searching online for "public guardian" and your county's name or looking in the government pages of your telephone book. There may be fees charged, but they are usually less than the fees requested by a professional fiduciary. They have experienced personal conservators and property administrators who can serve as conservator. If you are not eligible to use the Public Guardian’s services, contact your county’s Department of Aging. Completing the petition. The petition must include information about the proposed conservator and conservatee, relatives, and the petitioner (the person filing the case in court), and the reasons why a conservatorship is necessary. It must also explain why the possible alternatives to a conservatorship are not available in this case. Click for Information You Need for a Conservatorship Case -- it gives you a list of information and documents to gather before you fill out the petition and other forms. The conservator must purchase a copy of the Handbook for Conservators from the court or download it at the link provided. Someone may have a conservator while he or she recovers from a physical or mental condition that is temporarily disabling. For example, the conservatee may have been in a serious car accident and be unable to handle his or her personal affairs or finances. After rehabilitation, the conservatee may recover and be able to take care of things again. In these cases, the conservatee, the conservator, a relative or friend of the conservatee, or some other interested person can ask the court to end the conservatorship. The court may ask the court investigator to evaluate the case and the conservatee’s condition to see if the conservatorship should be ended. If the judge ends the conservatorship, the conservator will be released from his or her duties. If the conservator becomes ill or cannot continue serving as a conservator for some other reason, the conservator can file a petition asking the court to accept his or her resignation. Until (and unless) the court accepts the resignation, the conservator is still fully responsible as conservator. If the court accepts the resignation, the judge may ask the former conservator to help find someone else to replace him or her. If there is no one suitable, the Public Guardian or a professional fiduciary may be appointed. 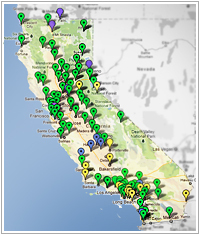 Find a directory of regional centers in California. Get more information on regional centers and the California Department of Developmental Services. To learn more about limited conservatorships, read the Handbook for Conservators.